Just a few years ago Blockchain entered the scene as a revolutionary and innovative technology that was changing the face of many businesses — and it is still doing it. Yet experts claim that blockchain’s potential is not even fully discovered. 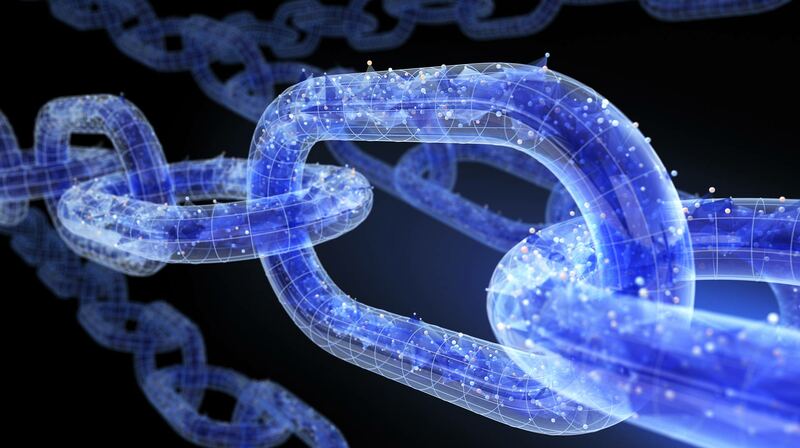 William Mougayar, a leading blockchain industry analyst, says: “A blockchain injects trust into the network, cutting off some intermediaries from serving that function and creatively disrupting how they operate. Metaphorically, blockchains are the ultimate non-stop computers. Once launched, they never go down, and offer an incredible amount of resiliency, making them dependable and attractive for running a new generation of decentralized services and software applications.” But how do the benefits of blockchain technology add up to a successful business transformation? The blockchain is basically a distributed database; it means direct, peer-to-peer interaction, it doesn’t require powerful intermediaries to authenticate or to settle transactions. The Blockchain uses state-of-the-art cryptography, so it can record any structured information. Not just the data about who paid whom, but also who got married to whom, or who owns what land, or what lighting system gets power from which power source. The blockchain is an immutable, unhackable distributed database of digital assets. Blockchain represents a fundamentally new opportunity for business. The highly decentralized and immutable blockchain concept uses mass collaboration and computer code to establish trust. This makes it possible for secure transactions to be verified and stored decentrally. In combination with “smart contracts,” the potential for blockchain becomes endless. According to the World Economic Forum, 10% of the global gross domestic product will be stored on blockchain technology by 2025. When discussing the potential for blockchain technology, the major talk focuses on the financial services industry. For the financial services industry, blockchain applications present a significant opportunity for creating new business models and streamlining internal processes. Combining such technologies as blockchain and smart contracts results in new decentralized business models. Another sphere of impact is the process automation, both within the companies and between them. With blockchain capabilities applied to the clearing process, for instance, companies can save time and money on transactions. New use cases of the blockchain technology are emerging almost daily. Supply chains are only one example. Companies can fight counterfeiting in their supply chains by implementing the private blockchain ledgers. They create unique digital signatures for each product or component and use them to easily trace providence, a chain of custody, and transfer of ownership, achieving end-to-end visibility. Similarly, supply chains can improve food safety and pinpoint the origins of tainted goods using a blockchain ledger. Health care is another industry that benefits from blockchain solutions. By maintaining health records in a private blockchain network, medical professionals can request permission to access a patient’s record to serve their specific purpose and record transactions on the decentralized ledger. This helps to prevent serious mistakes such as different physicians prescribing conflicting medications. Blockchain can also make data storing more secure. Recently some big companies suffered data breaches. This has clearly shown that personal information is highly vulnerable when stored in online databases. However, such information could be stored on a blockchain ledger, giving individuals more control over their personal data, as well as an opportunity to give businesses permission to access only the minimum amount of necessary information. Important is also the ability to know who has viewed the information. So the blockchain may indeed become a new way to deal with problems and threats, bringing improvement into large parts of any industry. The best way to appreciate the blockchain’s potential and determine its value for a business is to look at real use cases. With the invention of blockchain technology, forecasting has become an even more attractive area, offering even more opportunities. Apart from providing powerful peer-to-peer computing technology to financial companies, the blockchain has also provided a significant market-based forecasting solution for scientific applications. The blockchain automates insurance claims processing, and policy conditions can be written into smart contracts. Smart contracts are protocols that publicly and transparently verify compliance with a contract or enforce commitments. Holding a shared database and keeping records from being altered prevents fraud and provides customers with fair and timely payouts. Blockchain is a convenient and innovative solution for medical and healthcare providers. It offers outstanding opportunities for storing an enormous amount of records, performing pre-authorization payments, and processing complex transactions. Vulnerabilities related to real estate include an impressive amount of paperwork, the possibility of illegal deeds, errors in public records, and lack of transparency, which can in turn lead to issues with the unknown liens, missing heirs, and fraud. The blockchain offers mechanisms to mitigate these challenges. Leasing a car involves many systems and processes, from verifying the financial status of a driver to managing vehicle inventory and car features to the final “fate” of each car after the lease contract is ended. By applying smart contracts and performing transactions within a public blockchain ledger, a company can let customers sign lease agreements and insurance policies literally from the driver’s seat. Blockchain technology applied in HR management allows HR specialists to keep records in good order, access much valuable information about job applicants (like verified details about their education and previous experience, or any criminal records), as well as to make sure that employment history isn’t falsified. On the other hand, individuals get control of their documents, which allows them to prevent misrepresentation. The transparency ensured by blockchain provides exciting opportunities for charity. Blockchain allows precise tracking of charitable donations and makes sure that money goes to the right place. Besides, all financial reports are publicly accessible, which also makes it easier for charity organizations to report donations. A variety of blockchain use cases are still in the proof-of-concept phase, but it becomes increasingly clear that when paired with other leading technologies like the Internet of Things, Artificial Intelligence and Cloud Computing, the potential to add new business value is nearly limitless. 1. Preparation. It is all about creating a sense of urgency, educating stakeholders, and allocating resources. Just like other digital initiatives, the blockchain should be a part of the CEO agenda, and top management buy-in is crucial for success. It is recommended to form a dedicated blockchain task force made up of digital and functional experts who can help allocate the required capabilities and educate stakeholders on the implications of the blockchain. 2. Analyzing. The company’s leadership should focus on understanding the impact blockchain can have on the business. Companies must be able to answer three key questions: what can blockchain do; what is the main value blockchain adds and what are the costs of implementing blockchain? The analysis must be repeated frequently since the blockchain technology is changing rapidly. The blockchain of yesterday and the blockchain of tomorrow may be very different. 3. Collecting blockchain insights. The enterprise CEO is facing many tasks to solve and find the best solution for a company. For a start, the CEO needs to understand the customers’ pain points up and down the entire value chain. He also needs to understand which shared ledger technologies are the most appropriate for the company. Another good advice is to exchange insights in consortiums to discover what protocols and blockchain platforms are being built and which possible common standards for interoperability are being developed. 4. Designing and testing. It is recommended to test the initiatives on a small scale during an ideation phase by using rapid prototyping. This will also help to understand the benefits and constraints of the technology. 5. Implementing. This last step aims to identify the best strategy for putting blockchain initiatives into practice. Companies should focus on answering several questions. What business model should be operated to monetize the competitive advantage? What should the target organizational and governance model look like? Which fintechs and other partners should be cooperated with to achieve the blockchain goals? While implementation is ongoing, companies should continue to focus on streamlining and digitizing processes end to end, to increase implementation speed and avoid roadblocks. Blockchain gives an opportunity to radically transform the way companies do things by providing a standard architecture to address different business challenges. With blockchains, companies can completely redefine their cost structures and gain unprecedented proximity to their customers. The opportunities of the technology are out there. With more projects in line and an overall stronger blockchain community coming together, it’s just a matter of time before the world stops seeing blockchain technology as too hard to implement.